First Ghostbusters. Then Ocean's 8. Now, we get What Men Want, a remake of the Mel Gibson comedy classic What Women Want, which puts a gender-swapped spin on the idea. 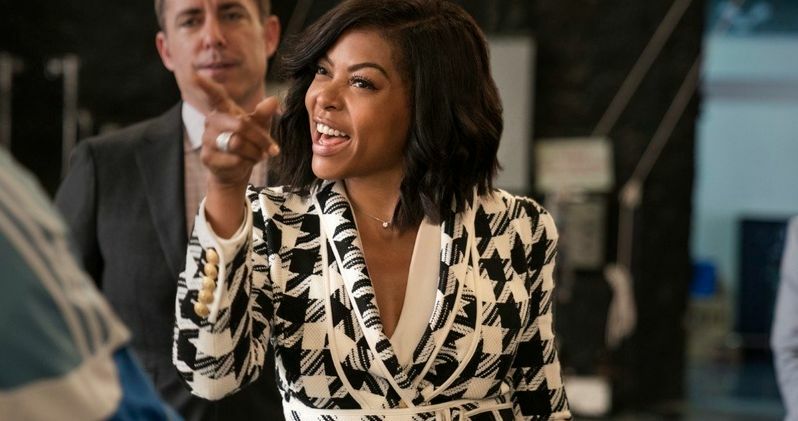 Taraji P. Henson takes over the lead role, and if we're to believe the first trailer, it will be hilarious. Paramount Pictures obviously knows what men want. They want a romantic comedy headed-up by Taraji P. Henson. Girls Trip producers Will Packer and James Lopez are behind this upcoming winter release, and they had a big hit on their hands with that previous comedy. So they obviously know what men want too. Do we have to say it any louder? They want more Taraji P. Henson! Adam Shankman directs What Men Want. He's perhaps best known for reviving John Waters' cult classic Hairspray as a big screen musical. The original What Women Want was one of Mel Gibson's last great films. It followed a chauvinistic advertising executive who acquires the ability to hear what women are thinking. He attempts to use this power to bring about the fall of his female boss, but as he uses this inside knowledge to outwit his superior, the bachelor begins to fall in love with her, and so finds himself feeling more than a little guilty when his plan to have her sacked looks like it may come to fruition. Now, Taraji P. Henson stars as Ali Davis in a remake that turns everything upside down and on its head. Ali is a successful sports agent who's constantly boxed out by her male colleagues. When Ali is passed up for a well-deserved promotion, she questions what else she needs to do to succeed in a man's world...Until she gains the ability to hear men's thoughts! With her newfound power, Ali looks to outsmart her colleagues as she races to sign the next basketball superstar, but the lengths she has to go to will put her relationship with her best friends and a potential new love interest (Aldis Hodge) to the test. Taraji P. Henson is the real attraction here. But she's backed up by some capable players who will make this quite the attractive package. Joining her are Tracy Morgan, Aldis Hodge, Richard Roundtree, Wendi McLendon-Covey, Josh Brener, Tamala Jones, Phoebe Robinson, Max Greenfield, Jason Jones, Brian Bosworth, Chris Witaske and Erykah Badu. We have to imagine that What Men Want will cause a bit of an uproar amongst the social media crowd, who like to complain about every thing nowadays. How dare this movie suggest that Taraji P. Henson wouldn't be able to survive in the world of men's sports without the assist of their thoughts. She's stealing male answers to questions that women can't answer? That's blasphemous. Taraji P. Henson doesn't need man thoughts to make it in this world, and how dare this comedy suggest otherwise! It happened to Amy Schumer's I Feel Pretty. What Men Want, though just an innocent romantic comedy, looks and feels like something someone, somewhere, can raise a ruckus about. What Men Want is in theaters starting January 11. The first trailer comes from Paramount Pictures. If you love watching Taraji P. Henson in a power suit, then you better hurry up and click on the video below. This is going to be your favorite movie of 2019. Can LEGO Movie 2 & What Men Want Revive 2019's Waning Box Office?